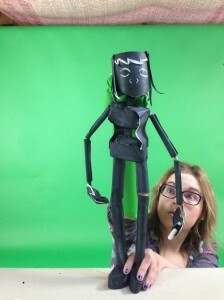 Joni- Rae Carrack, a performer, puppeteer and maker who strives to make honest and beautiful theatre. She is the co-founder of two companies, Sort Of Theatre and BearDog who regularly perform at Fringe Festivals all over the UK. Her work is interdisciplinary and so far she has utilised puppetry in opera, autobiographical pieces, storytelling and improvisation.